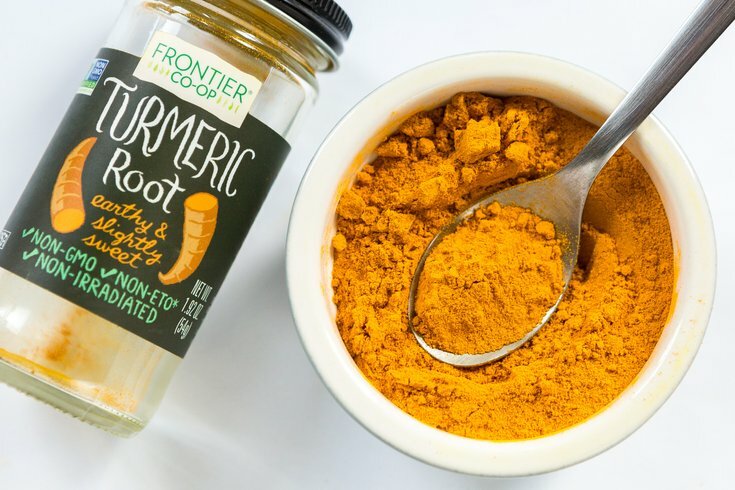 While new milks always seem to be stocking up lattes, one new ingredient might leave some scratching their heads: turmeric. Sometimes referred to as a "golden milk" latte, the drink is made up of all sorts of ingredients, ranging from milk to sugar, cinnamon to ginger--but always, of all things, turmeric. What gives? And is it a sign of a new food trend? Check out the spice's Instagram hashtag, after all, and you'll find not just a turmeric latte, but a turmeric popsicle. Curious to know more, we reached out to Jonathan Deutsch, professor of culinary arts and food science at Drexel University, for some answers. Is turmeric trendy, and if so, why is that? I would say it’s definitely trendy, and I’m not sure why—as these things go. There are a few reasons I suspect it is. One is that it has what we call a "health halo," which means it may or may not be a particularly healthy product, but people associate it as a healthy product. They feel good about themselves and the food when eating it. And the other thing I don’t think we can ignore is that in the age of Instagram-ing everything, taking pictures of their food and drinks and sharing in their social media circles, it’s a really striking color and a beautiful food...And especially with fresh turmeric, which is really gorgeous to look at and still a little unusual. Where does it get its color? It’s natural. Turmeric is a rhizome, which looks a little like ginger. It’s often called a root, but it’s technically not a root, it’s a rhizome. It has that color when you buy it fresh – that shocking, bright yellow color. It has been used for its color for millennia. I don’t know how much of a legend or myth it is, but there’s some talk of that distinctive color of Buddhist robes was originally made with turmeric dye. It kind of makes sense, if you think about the technology of the time. And the turmeric that comes in the spice aisle is that actual rhizome, root like ginger, just dried and powdered. Pretty much identical process to what they use for, the difference between a fresh and powdered ginger. • Why might turmeric be trendy? It's probably the unique, photo-ready color. • Turmeric actually has a mild taste, despite being a common ingredient in curries. • Turmeric is a typical ingredient in foods that use natural colorings. • Turmeric is comparable to ginger in appearance and structure. Does it look a lot like ginger in its original form? It does. It’s easy to tell the difference if you know that there is a difference and know what you’re buying, but if you’re not a very skilled cook, or comfortable home cook, and you just wander the grocery aisles, you may confuse one for the other. It’s grown in warm and wet climates. It can grow anywhere in the right climate, but it’s probably Asian in origin, and it’s grown extensively in the Indian food continent in South Asia and Eastern Asia. Why is it associated with India? It’s been centuries, at least, that it’s been grown and consumed in India. The latte is popular. Is there something about the turmeric flavor that works well as a latte? Are some apple varieties better for you than others? What was Philadelphia's first restaurant? I don’t find it particularly flavorful. It’s a little bitter, a little earthy. I think its success as a latte ingredient has a lot to do with its striking visual element. Turmeric latte, turmeric milk sugar and maybe some other spices, is very popular in India, as a sort of stomach soother and it’s often recommended for colds and flus, sore throat, those sorts of things. I don’t think there’s any definitive evidence that it’s effective, but certainly, a lot of people swear by it as a cold remedy. I think for some people, it’s also comfort food, and others, it goes back to that health halo, where they feel good about taking it when they’re not feeling well. It seems to share a lot in common with ginger. The common thought is it’s anti-inflammatory. I haven't found any real compelling evidence in terms of clinical trials, but it’s associated with antioxidant, anti-inflammatory properties, for sure. One thing I think is important to note is it’s used not only in what we would think of as Indian foods but other foods as a natural yellow color. You’ll often see that in ingredient declarations and be like ‘Oh,’ it’s not a particularly curry flavor or anything like that—it’s often for the color. It’s also quite mild in flavor, so that’s the other misconception...It’s a main ingredient in curry powder, which is a mix of many spices and there are as many variations of curry as there are people, but it’s what gives curry powder in the spice aisle that very distinctive, bright yellow color. Because curry is so aromatic and spicy, a lot of people immediately think that turmeric is contributing a lot to that and it’s really contributing mostly color and a little bit of aroma, but it’s the other spices I think do the work to make a curry.